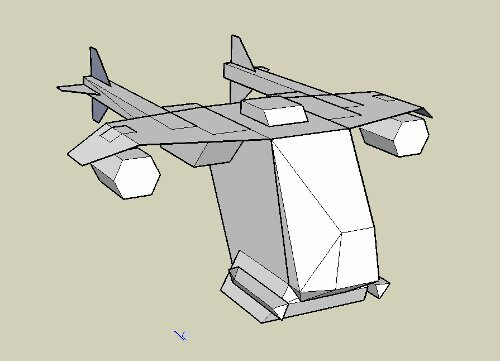 I finished up stage one of the design of my flying wargamming model. So I’ve decided to do a 3 part post series rather than one big post once it’s finished. 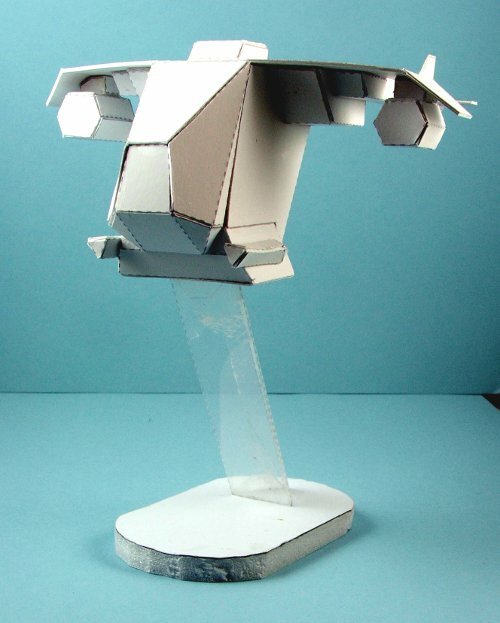 So this one will cover the evolution of the sketchup design. 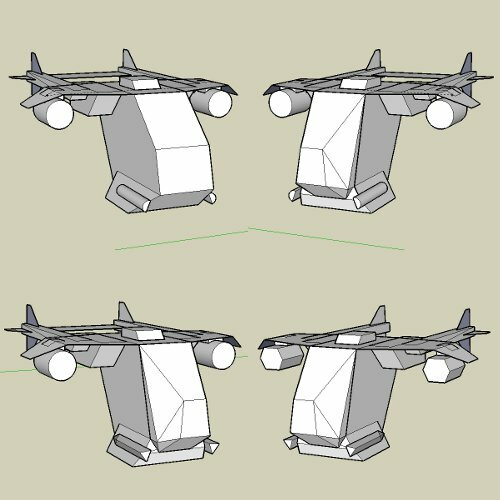 The idea behind the design is that it’s a single seat attack craft VTOL capable, while packing a significant punch to be a credible threat to more heavily armored tanks and vehicles. Two light weapon mounts are present on the lower sides of the model, I’ll texture these as MG ‘s and possibly small lasers as an alternate. Under each wing are some small 5-6 shot rocket launches which can be filled with anti-vechile rounds. The fourth and last lengthed the wings slightly and turned the round missile racks to hexagons for simplified building.